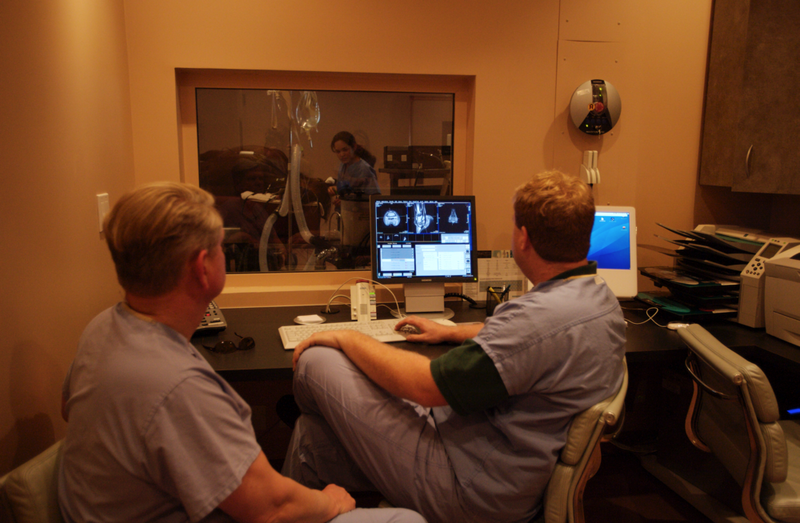 At Alamo Pintado we employ the latest and most advanced in equine diagnostic imaging technology available. The various modalities that we offer can be used individually or in combination to provide a superb insight to the possible source of lameness or pain. 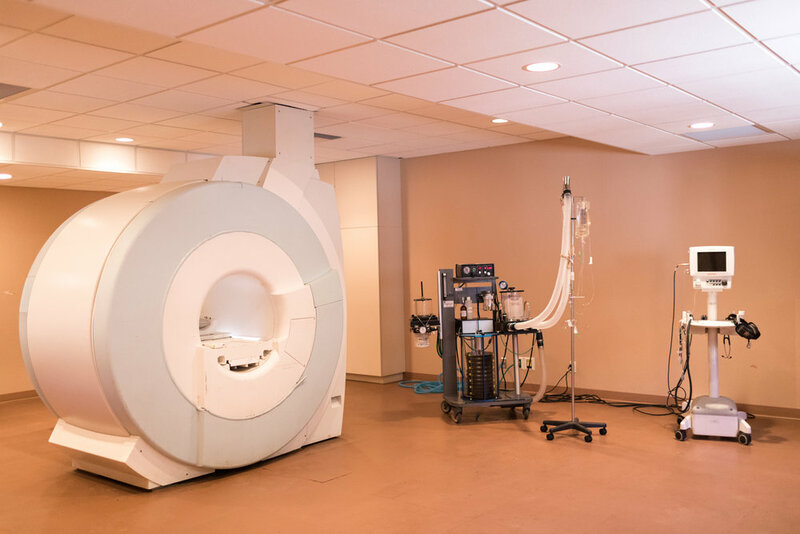 Developed in 1978 and expanded in the 1990s, MRI has been the gold standard in human medicine for diagnostic imaging of orthopedic, brain and soft tissue injuries. MRI utilizes a strong magnetic field (30,000 times as strong as the Earth’s magnetic field) to orient the atoms of the body. By changing this field temporarily, these atoms react and emit radio waves which are detected and interpreted by a computer to create the image. No radiation is used and there are no known side-effects to the use of MRI at this field strength in the horse. 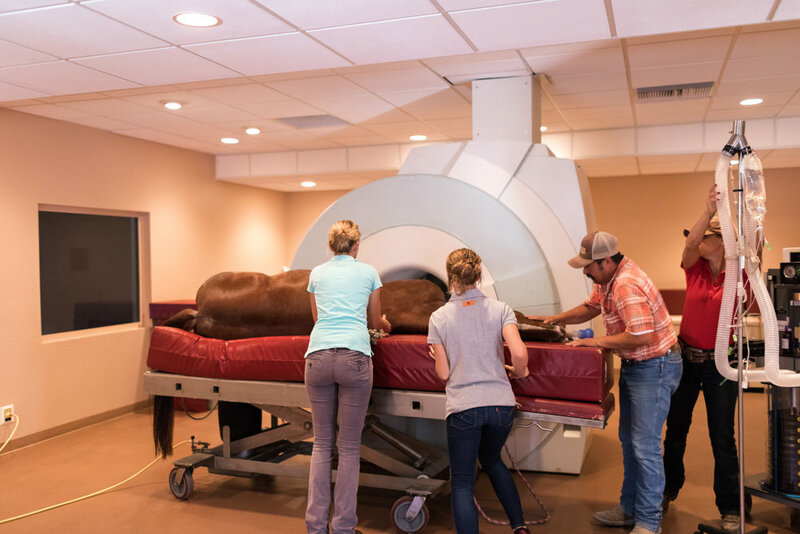 A state of the art, high field (1.5T) Siemens Magnetom Espree, has been installed in a customized facility at Alamo Pintado Equine Medical Center. 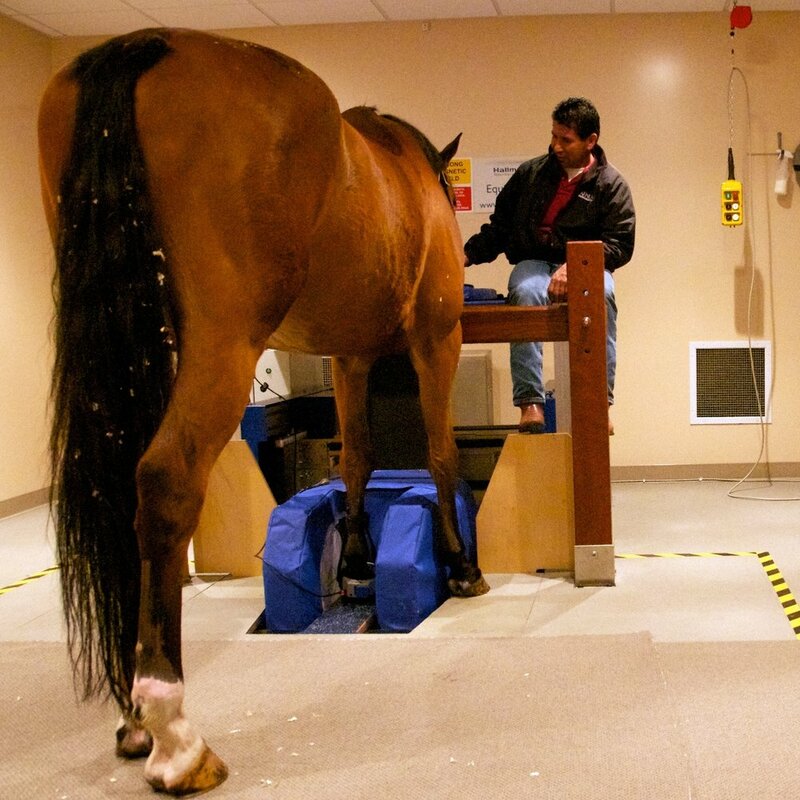 In use for over 10 years, this system allows for effective, time efficient imaging of orthopedic, soft tissue and head/brain pathology of the horse. Dr. Judy is an international authority in MRI, bringing an unmatched level of expertise to Alamo Pintado Equine. Dr. Judy supervises and reads each MRI performed at Alamo Pintado, ensuring the highest accuracy. With a far-reaching understanding of equine imaging, Dr. Judy is able to apply that knowledge to his surgical work, creating more successful outcomes for patients. 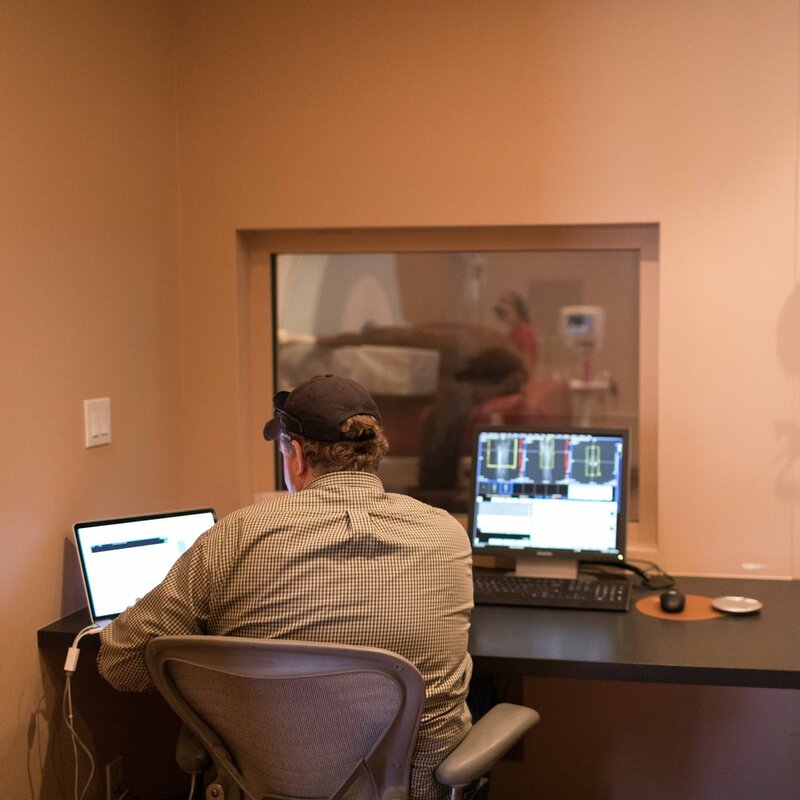 Dr. Saveraid received his Doctor of Veterinary Medicine degree from Iowa State University and completed his radiology residency at Washington State University, where he had extensive training in equine and small animal MRI. 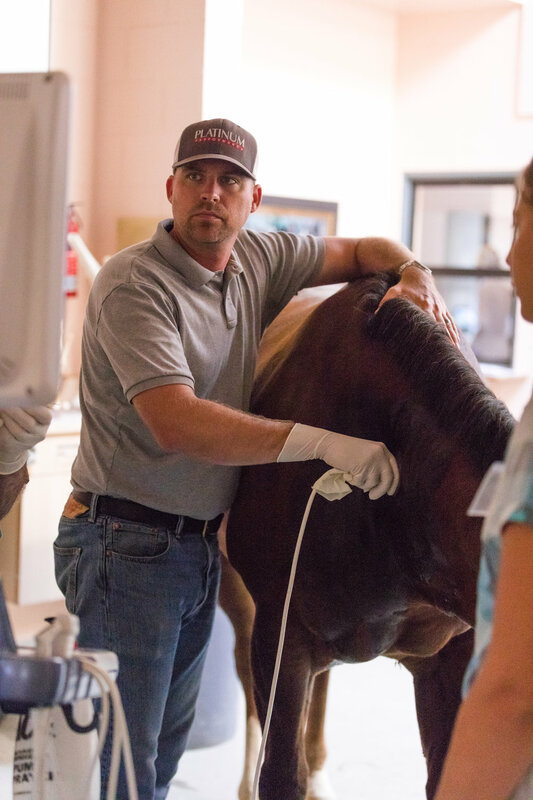 He is board certified by the American College of Veterinary Radiology and serves as an interpreting MRI radiologist at Alamo Pintado Equine, working together with Dr. Carter Judy.